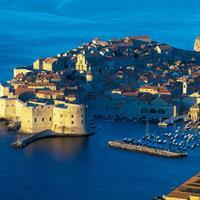 Dubrovnik, Croatia`s southernmost major city, has so much to offer. The centerpiece of Dubrovnik is its picturesque Old Town, surrounded by mammoth walls of limestone. The Old Town, restored to its seventeenth-century glory, has been featured on the list of UNESCO World Heritage Sites for four decades. 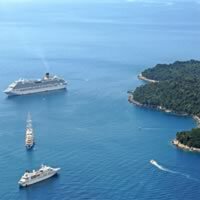 The `Pearl of the Adriatic` offers a lot to the traveler, such as top-notch dining and shopping, first-class museums, and even excursions to island paradises just minutes from shore. Dubrovnik is a destination that should be experienced in person, not merely viewed in picture books. Known as the Pearl of the Adriatic, Dubrovnik is one of the most beautiful cities on the Croatian coast. Its city center testifies to its glorious past and its Venetian influence. This is a flexible package. Select your number of nights in each city, desired hotel and activities. This customizable packages lets you venture through Croatia and Italy like never before. 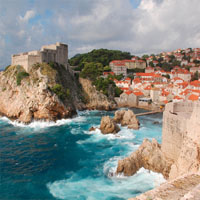 Begin in Dubrovnik (the pearl of the Adriatic; with sun-drenched beaches on one side and imposing mountains on the other) and then hop a flight to Rome (Italy`s treasure with two millennia of artistic achievement) and take a train to Venice (built on more than 100 small islands in a lagoon in the Adriatic Sea. It has no roads, just canals, lined with Renaissance and Gothic palaces). This is a flexible vacation package. Select your number of nights in each city, desired hotels and activities. Journey through Europe on this once in a life time adventure. Start in Budapest (2 cities in one! ; Buda high on the hills and marked by the Royal palace and fortress and Pest, expansive flat on the opposite side of the river with modern shops and restaurants along the promenade) and then hop a flight to Prague (the City of a Thousand Spires reflecting centuries of religious control dominate the skyline) and then take another flight to Dubrovnik (the pearl of the Adriatic; with sun-drenched beaches on one side and imposing mountains on the other). This is a flexible vacation package. Select your number of nights in each city, desired hotels and activities. 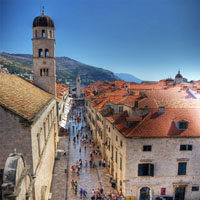 You will be delighted with this totally pain-free, escorted motorcoach tour from Dubrovnik (a gorgeous city with Venetian influences; the old walls cradle a rich history) to Venice (the charming canal city; sumptuous palaces and incredible museums), visiting the Bay of Kotor; Split, Trogir, Opatija, Bled, Plitvice Lakes, and Ljubljana. Visit two countries with two very different histories; each with their own stories to tell! Visit Paris (the City of Lights; a cosmopolitan center of food, fashion, art, music. you name it and Paris has it!) and enchanting Dubrovnik (nicknamed `Pearl of the Adriatic,` a city steeped in medieval history with a decidedly modern flair). This is a flexible package. Select your number of nights in each city, desired hotel and activities. Visit 3 fascinating cities in Europe with a vacation package Athens (the cradle of civilization and the birthplace of democracy), Rome (Italy`s treasure with two millennia of artistic achievement) and Dubrovnik (known as the Pearl of the Adriatic for its stunning views). This is a flexible vacation package. Select your number of nights in each city, desired hotel and activities.